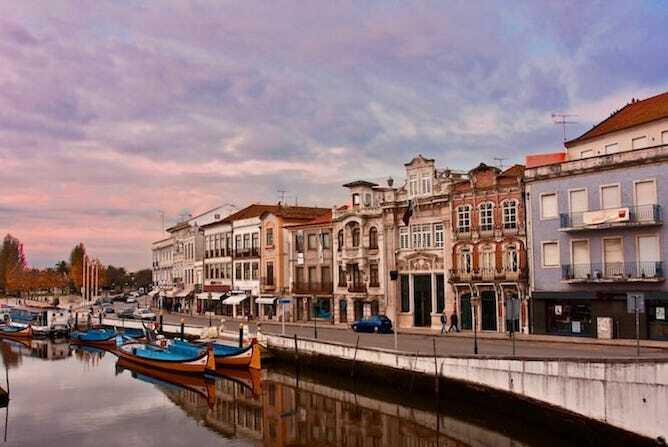 Aveiro, also know as the Venice of Portugal, is one of the best day trips from Porto as it is merely 45min driving distance from there. I used to live in this city when I was studying to become an engineer (it seems like a life ago!) and hence my memories are filled with memorable dinners with friends, folk festivals and dangerous amounts of ovos moles (a local delicacy that consists of rice papers filled with egg yolk and sugar). 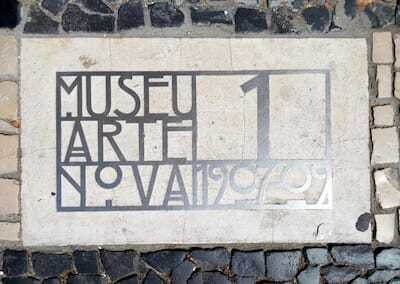 The Art Nouveau style had its golden age in Portugal in the early twentieth century, reaching Aveiro by the hands of a new, enriched bourgeoisie coming from Brazil. 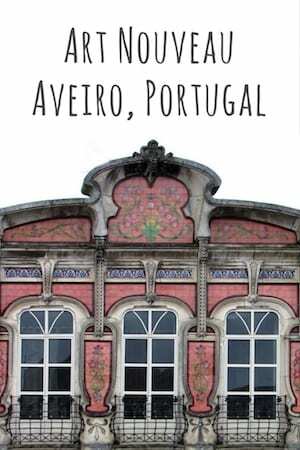 They built shops and houses of Art Nouveau in Aveiro, incorporating traditional Portuguese decorative elements such as tiles. 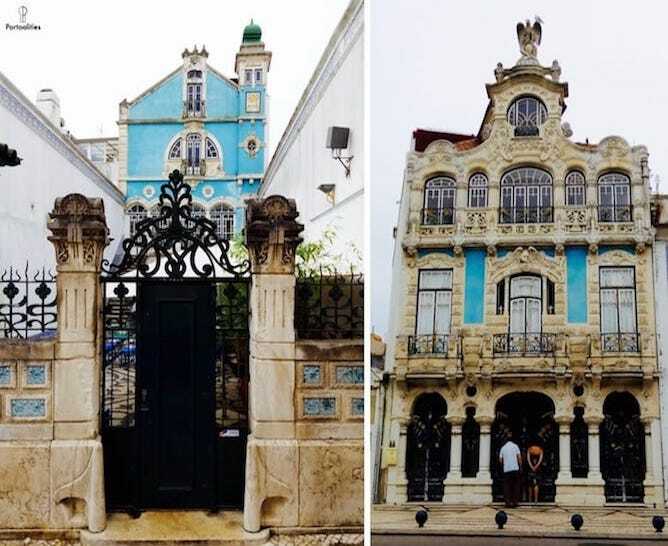 Even though Art Nouveau lasted for a very short time in Portugal it left a strong presence in Aveiro, one of the few cities included in the Réseau Art Nouveau Network, a reputable network of European cities in which this architectural style is most evident. 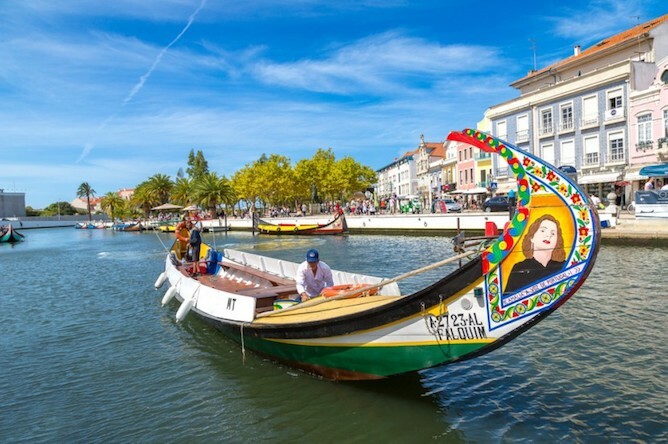 One of the most popular activities is to go for a boat ride on a moliceiro in Aveiro. (In case you are wondering, moliceiro are the famous colourful flat boats from this city. The word moliceiro comes from the word moliço, which are some aquatic plants that fishermen used to catch to be used as fertilisers in agriculture). You can buy the tickets straight at the “deck”. 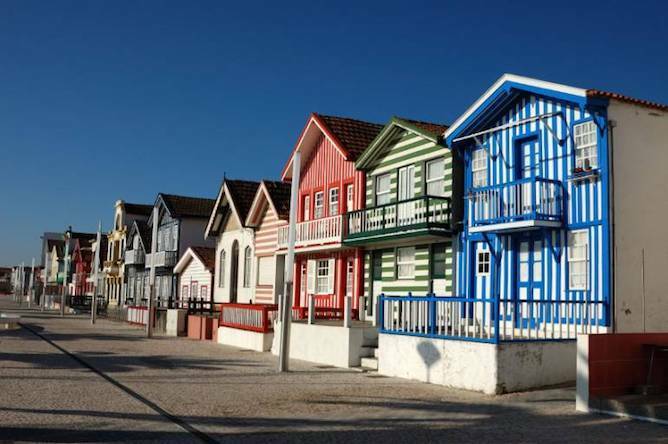 Another option, which I find particularly interesting for those who are only spending one day in Aveiro, is to book a half day trip that combines a boat ride on a moliceiro together with a visit in the city centre and a quick stop over at Costa Nova, a picturesque coastal village (see the picture below). 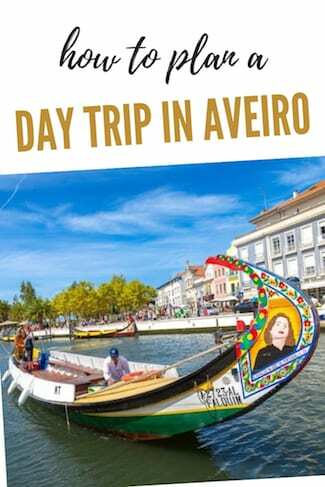 Click here to check all the information from these half day tours to Aveiro (departing from your hotel in Porto) and to get the online tickets. OK, I think we can all agree that ovos moles – a delicacy made from rice paper filled with egg yolks mixed with sugar – scores very high on any caloric standards you might have. But for once leave all the diets behind and try even a tiny ovo mole served with an expresso or with a hot tea – it feels so good after lunch! 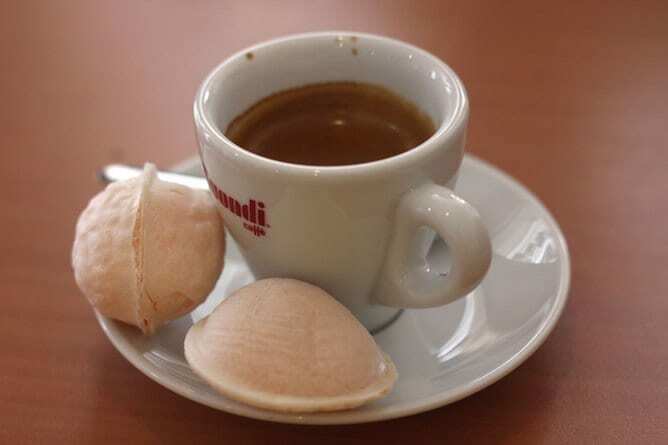 I am going to be completely honest with you: precisely because I used to live in Aveiro, every time I go there (which I do quite often) I stay at friends’ places. Nonetheless, I complied this list of the best apartments and hotels in Aveiro which is based on my own friends’ recommendations and my own personal stay in two or three or them. I hope you find it useful! SaberAmar Charme is a spacious apartment located at the city centre in Aveiro. 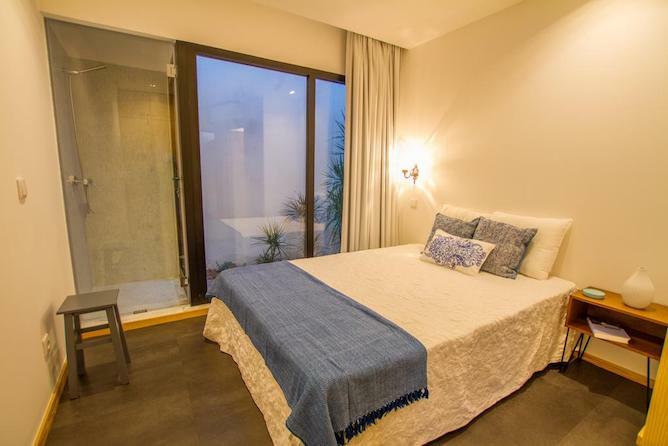 It is fully equipped and it has room for 4 people, hence being perfect for families with kids. What I love about this apartment is the natural light that shines in its very cozy décor. 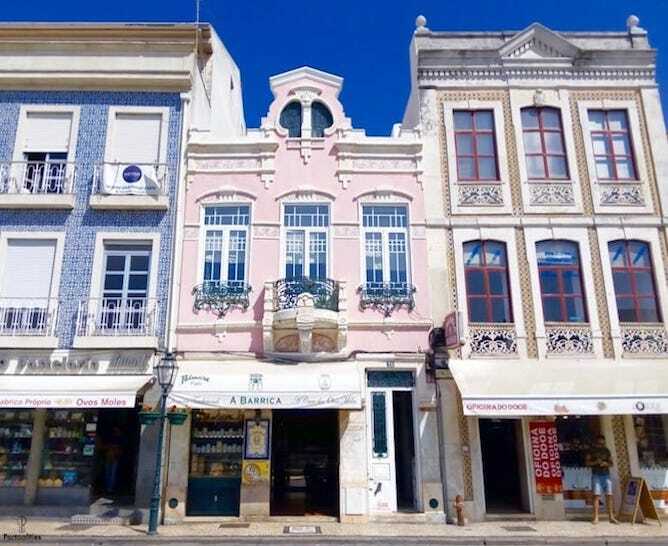 It is located close to the only train station in Aveiro, which is 10min walking distance from the city centre. If you want to splurge yourself then this is the right hotel in Aveiro to do so. 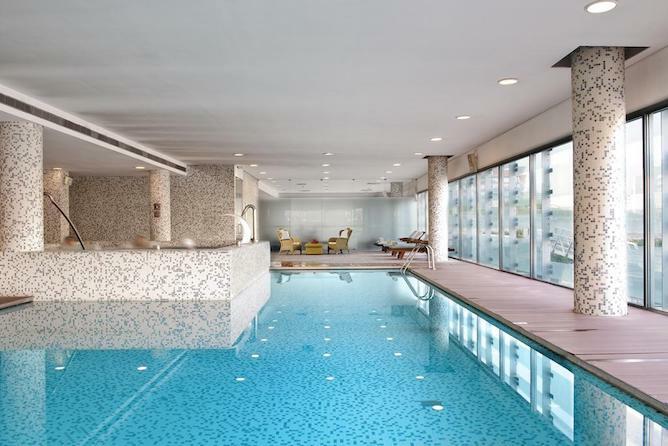 I stayed in this hotel when I went to a friend’s wedding in Aveiro and I took my time to enjoy the pleasant indoors swimming pool and spa. It was fabulous and I can only recommend it! 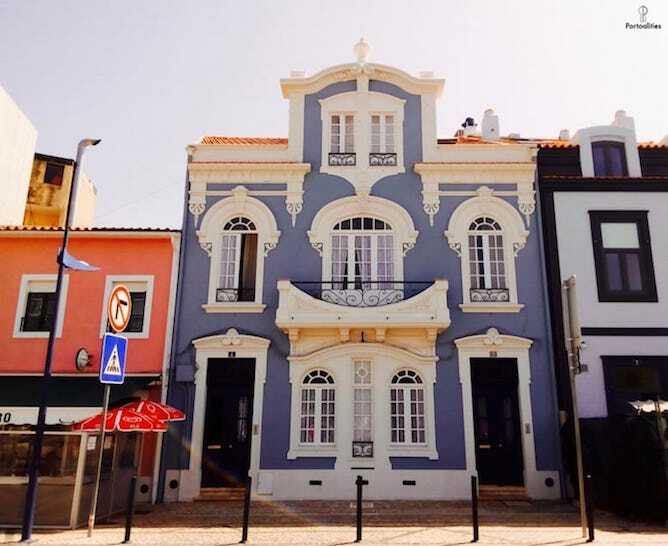 I just love this hotel in Aveiro – from its perfect location to the exotically decorated bedrooms and the opulent breakfast, there is nothing bad to point out!